Yep, it’s flooded here but everybody’s ok other than some flooded streets and yards. My friend John (Captain John, Johnny Rescue) wanted to see how bad the flooding was and saw this GAR taking a took this video- LOL. Meanwhile, instead of searching the beaches for shells and other cool stuff, we had to barricade the water from seeping into our house. Clark went to Lowe’s to get bags of shells to build up around our patio so as we opened the bags to build up little flood wall we found our own little cool things. Awesome Fossils! Our thoughts are with the folks in Texas who are battling with the terrible wrath of Hurricane Harvey. Please be safe. 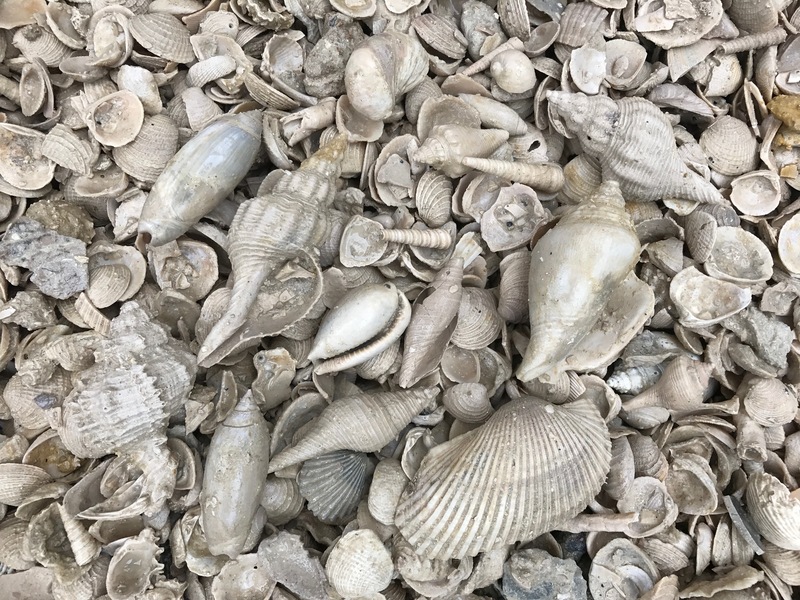 Wow neat picture of the fossils of shells. Sorry to hear it flooded there, I wasn’t aware that you guys had so much rain. Praying all is well with you and that you were successful in stemming the tide, as it were, into the patio. Texas is sure getting pounded. Hopefully there will be some awesome shelling as a result of the rain on Sanibel. Sending you and Clark love and warm hugs. 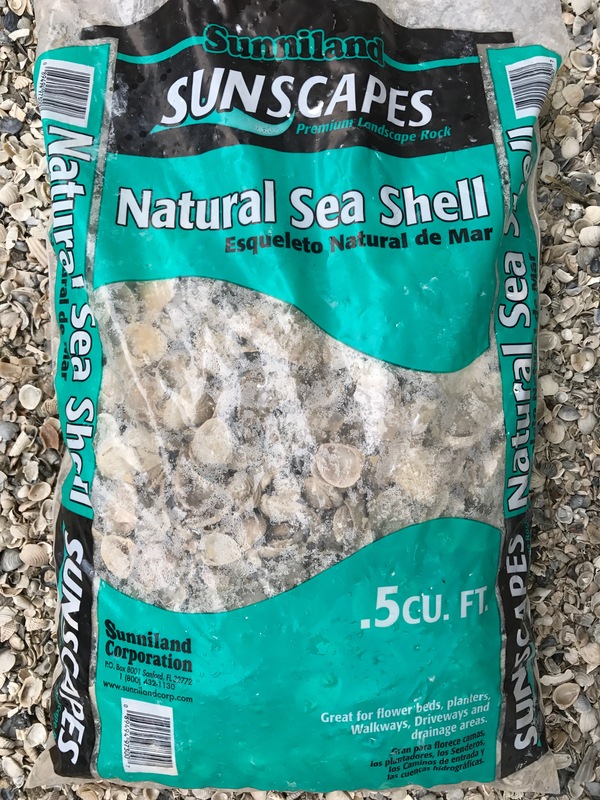 The Lowe’s shells look very similar to the small shells used to cover the paths at the Lighthouse and other spots on the island. I’ve found some pretty nice little Dusky and Alphabet cones looking over those paths. It’s a good backup plan for when the beaches aren’t producing so well ;). Praying for Florida residence and all people in the path of Irma. How are things on Sanibel? Today is September 8. We’re coming down on the 18th and wonder if the island will be ok. Bad storm and a new moon might be the mother load for 🐚!